Official News and Blog site of Bangalore Steiner School. Prior booking by email essential. FREE. Email us with NAME & DOB of child to book your spot. Best if both parents could attend this session as it will not only have a good introduction to Steiner-Waldorf education but also include details of the Grade school curriculum, classroom demos, exhibits of children’s work and a school premises tour. This Open Day will work for anyone who is new to this education and also be suitable for parents who may be already familiar with Steiner’s work and want to explore Bangalore Steiner School as an option for their children. Talk & Tour strictly for Adults only.Children (6years+) may accompany and play independently outdoors. Bring your own carer for babies & toddlers, not allowed inside the session venue. 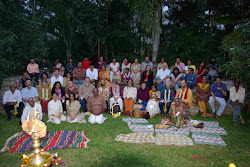 We (Bangalore Steiner School) are a co-educational, Rudolf Steiner school. Our curriculum, adapted for the Indian context, emphasizes the place of Nature in educating the Hands, the Heart and the Head. Our teachers and parents work in partnership to realize our objective of a sustainable community. The Vision of the school is: "To revitalize the purpose of education by inspiring every individual to think consciously, feel compassionately and engage actively in the world." We are located at Sompura village, just 2 km before Sarjapura town. The ambience of the building which houses the classrooms, the acreage including the setting and landscaping of the farm exudes an ideal Steiner school charm providing all of nature's ingredients for a rich holistic education. Bangalore Steiner School. Watermark theme. Powered by Blogger.